Brian Holland is a market-focused business and financial leader with 20+ years of experience driving revenue, profit, process, and performance improvements in start-up and accelerated-growth environments. At Fleet Advantage Brian is responsible for all financial and administrative affairs as well as building the infrastructure necessary to support the company's aggressive growth. He also oversees lease syndications and maintains banking relationships and program funding agreements with many of the top banks in the U.S. Prior to joining Fleet Advantage, Brian served as Vice President of Operations and Chief Financial Officer for Toshiba Business Solutions Florida/Georgia where he oversaw the financial, operations and administrative functions for Toshiba's largest subsidiary with 8 locations in the Southeast U.S. His background also includes roles as CFO, VP Operations, President, and CEO with financial services and technology-based companies including Hospitality Solutions International and IKON Office Solutions. Brian has specific expertise with high-growth and high-tech firms and extensive experience in equipment leasing. A CPA and graduate of Georgia Southern University, Brian is also active in the community, volunteering his time and expertise to numerous nonprofit organizations. 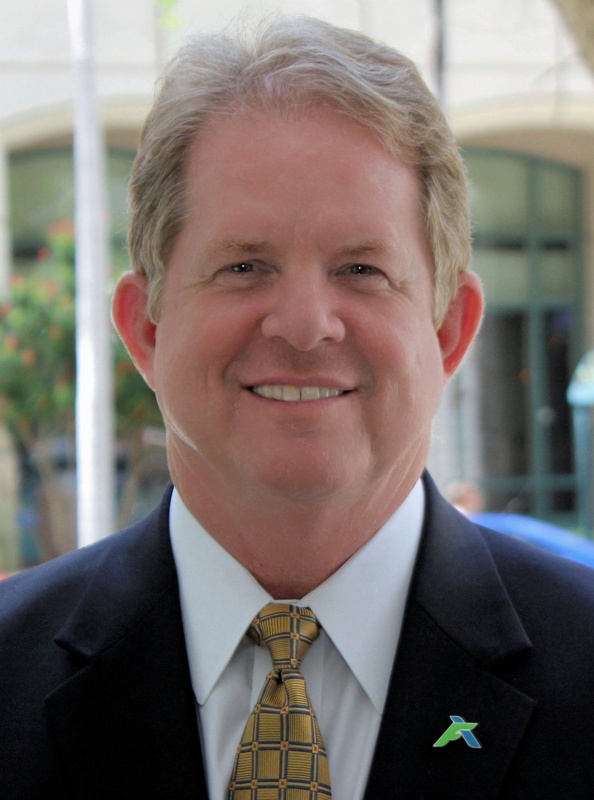 He serves as a Board Member and Vice President of Finance for SOS Children's Villages Florida. 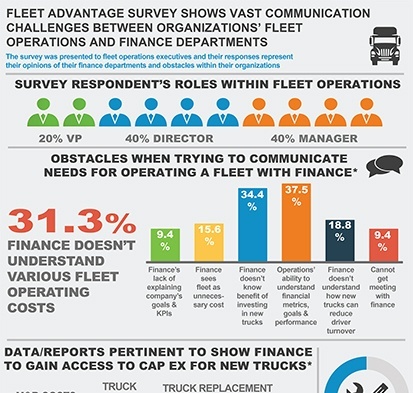 Fleet Advantage, a leading innovator in truck fleet business analytics, equipment financing, and lifecycle cost management announced today its latest industry survey showing where there’s a significant lack of communication between fleet operations and finance departments within many organizations with a private fleet. Where Is the Lack of Communication? The online survey shows private fleet management personnel highlighting several obstacles when trying to communicate fleet operational needs with finance departments. Signifying this lack of communication, 37.5% of fleet executives cited the inability of their finance departments to clearly communicate the company’s financial metrics and goals to the operations department as the largest communications struggle. An additional 34.4% said finance doesn't understand the benefit of investing in newer equipment; and 31.3% said finance doesn't understand various operating costs associated with the fleet. Fleet Advantage, a leading innovator in truck fleet business analytics, equipment financing and lifecycle cost management unveiled today new analysis that shows the operating and financial benefits of a truck lease vs. buy structure for private truck fleet operators, as well as for-hire carriers. 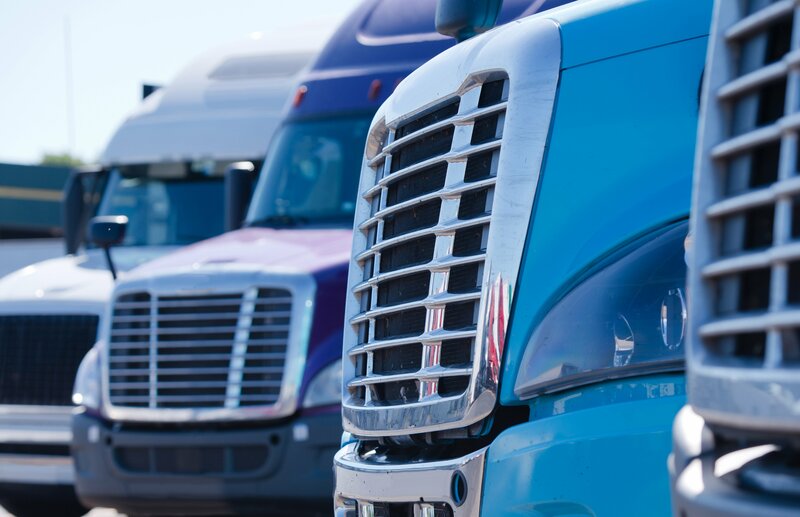 The analysis illustrates a missed opportunity for cost savings when comparing a seven-year ownership of one truck to a four-year ownership and a four-year lease of two consecutive trucks. 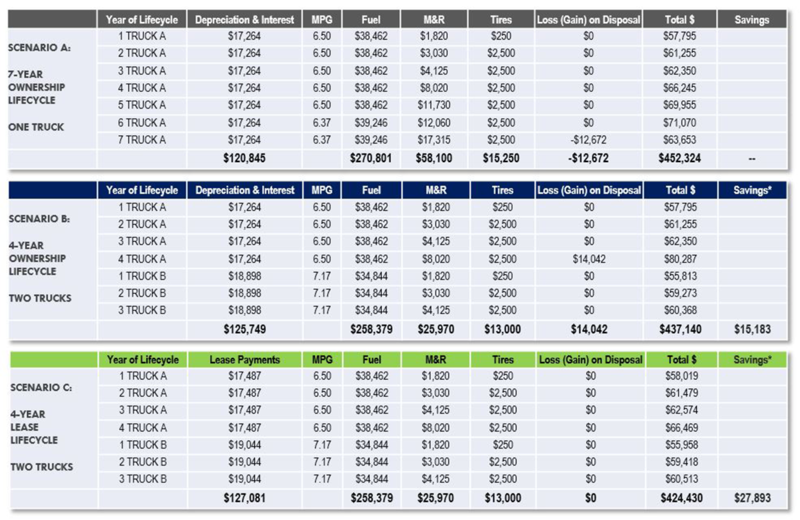 Fleet Advantage, a leading innovator in truck fleet business analytics, equipment financing, and lifecycle cost management made public today its 2017 Truck Lifecycle Data Index (TLDI) comparing all-in operating costs of early-model Class-8 trucks to 2018 model-year replacements. The TLDI shows significant cost savings when replacing older-model vehicles with 2018 MY trucks. 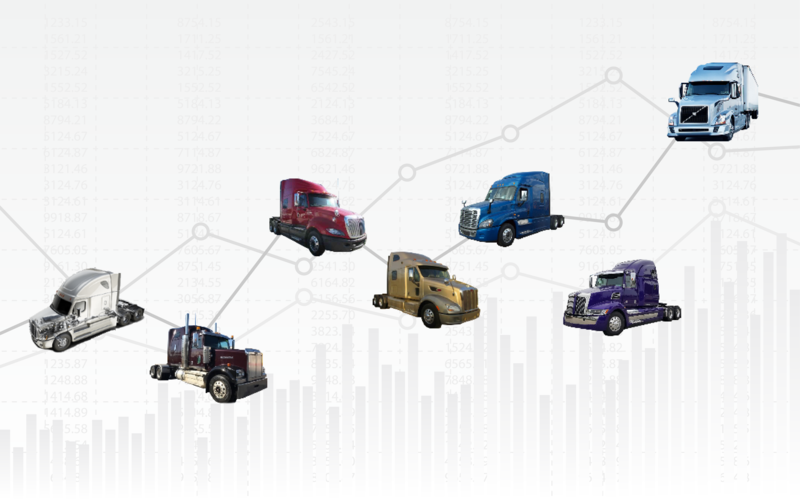 According to Fleet Advantage’s ATLAAS (Advanced Truck Lifecycle Administrative Analytics Software), the TLDI shows that fleet operators can realize a first-year per-truck savings of $22,162 when upgrading from a 2012 sleeper model-year truck to a 2018 model, a 17% increase in savings compared with year-ago figures ($19,023) for 2017 model-year upgrades.